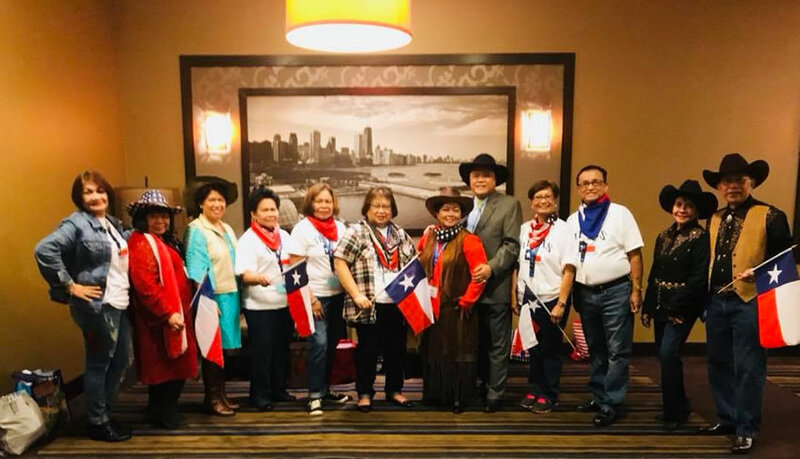 CPU President, Dr. Teodoro C. Robles and his wife, Ma’am Angel Robles together with Centralian alumni. 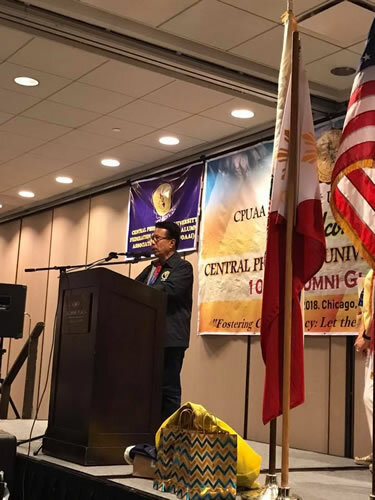 Celebrating the Central Spirit across the globe—Centralians, 550 in total, came from different alumni chapters and associations around the world to gather together as Central Philippine University commemorates its 10th Global Reunion at the Crowne Plaza Chicago O’Hare Hotel on July 5-8, 2018. 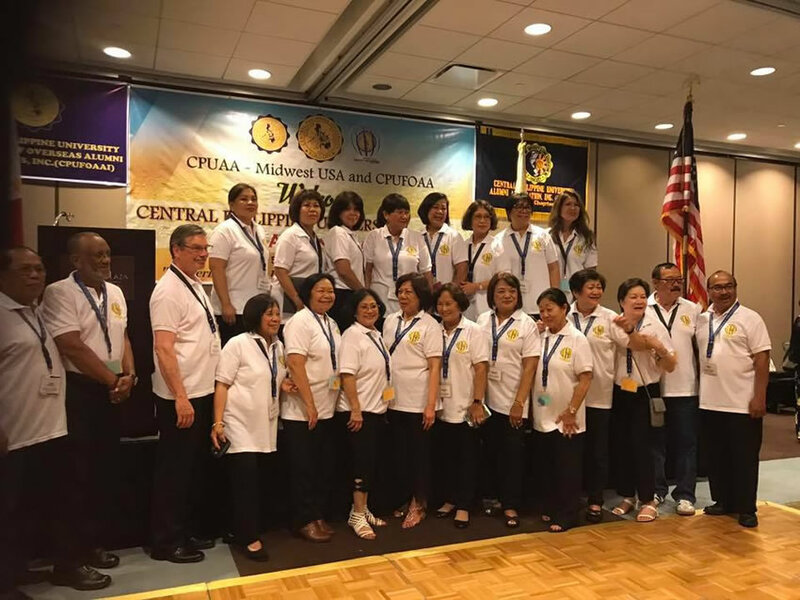 With the theme “Fostering CPU’s Legacy: Let the Central Spirit Shine,” Centralians rekindled their friendships and shared their testimonies during the three day reunion. 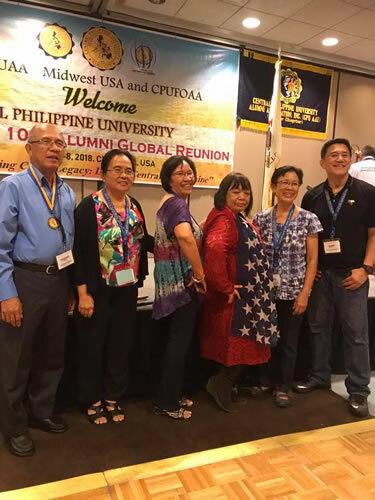 This year’s global reunion was spearheaded by the CPU Federation of Overseas Alumni Association-Chicago Chapter. CPU President, Dr. Teodoro C. Robles, thanked the CPU alumni for their undying love and support for the university. He also highlighted the accomplishments of the university and the contributions of the alumni in funding constructions and scholarships. Dr. Robles also expressed his gratitude to the alumni for carrying the CPU torch with faith and excellence in whichever part of the globe they may be. According to the alumni present, Dr. Robles gave a powerful yet simple testimony of how he transcended all of the trials in life and responded to his mission of accepting the challenging task of being the university president instead of just enjoying retirement with his wife, Angel, in their Wisconsin home. These boots were made for rockin! The CPU North Texas Alumni Chapter. 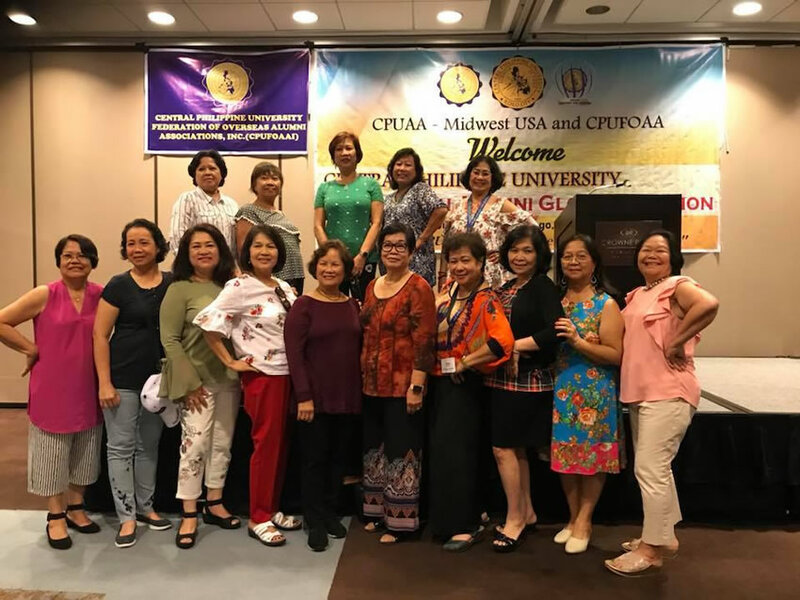 Members and officers of the CPUAA Midwest USA – host of the 10th Global Reunion. 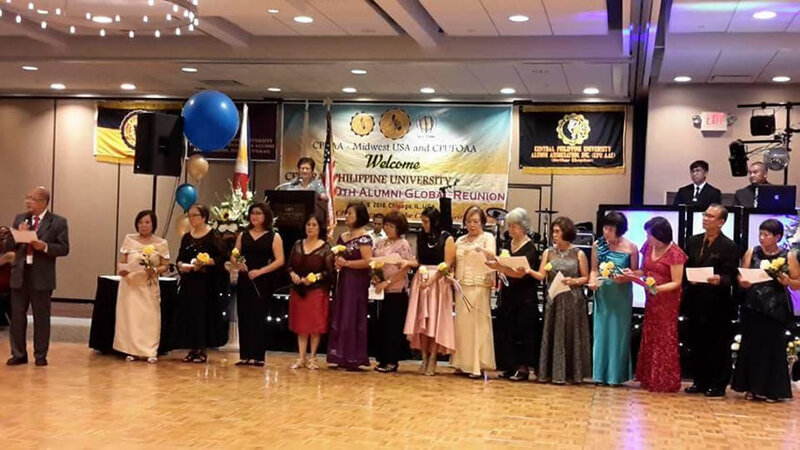 CPU College of Nursing Batch 1972 attending the 10th Global Reunion. Also gracing the event is honorary Centralian, Dr. Aaron Alfred Lee. In a concert entitled “An Evening with Music,” Dr. Lee serenaded Centralians. It can be recalled that Dr. Lee performed at the Rose Memorial Auditorium, CPU Campus on February 8, 2018. For the first evening devotional, Engr. Eddie C. Cañuto shared his experiences as a working student of the CPU Libraries. According to Engr. Cañuto, to help support his studies he worked 2 hours every day for 75 centavos per hour as payment. He was able to graduate with a degree in Engineering and placed 7th in the Engineer Licensure Exam. At age 55, he retired from his engineering profession, sold all his engineering equipment to live a simple life in the farm, and pursue his passion to spread the Word of God. Engr. Cañuto established Ephrathah Farms, an organic farm also engaged in agri-tourism in Iloilo. There, he enjoys teaching people how to grow organic fruits and vegetables. He shared that the most important thing he does in life now is to teach people the love of Christ. He encouraged his fellow alumni to trust in the promises and the timing of God. CPUAAI President, Engr. Isagani J. Jalbuena thanks the CPU alumni community for their continuous love and support to the university. The three-day reunion ended with Centralians filled with encouragement from one another and with the Word of God. The next CPU Worldwide Reunion will be on February 5-7, 2020 at the CPU campus. CPU President, Dr. Teodoro C. Robles leads the oath taking of the newly elected CPUFOAA Officers for 2019-2020.